I may I mislead you. About what goes into a story. I’ve only been emphasizing three of them. And, these are the most important three; I haven’t lied to you about that. However, there are over 100 literary elements out there. Not only three of them are used. 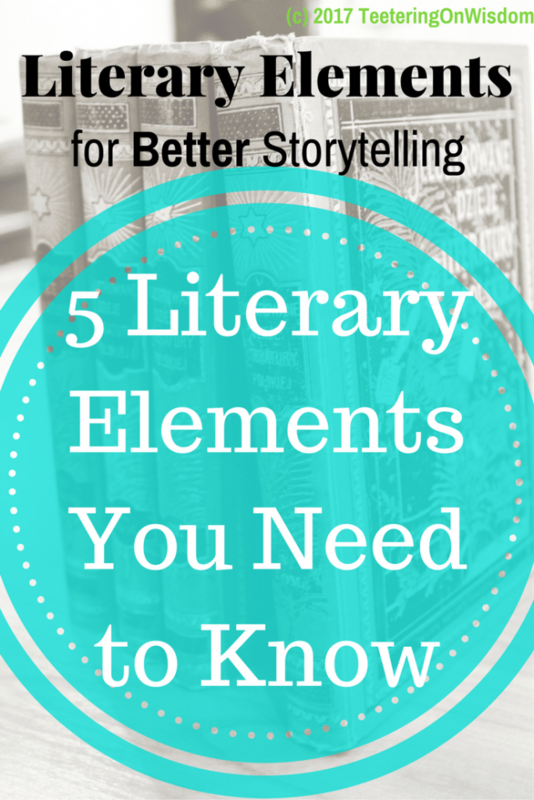 Actually, there are 5 other elements that can really make or break a story. Now, these will not serve as any foundation. You can’t have a story without character, setting, and conflict. Others are basically there to support those three base-elements. However, by having the others, you embellish and enhance your story to really bring it all together. If you establish these other 5 elements along with the other three, you’re on a roll for a well-crafted story for others to enjoy for years. You know that one dream with the candles around the dark room? The roaring flames in the fireplace keeping the room warm and lit just enough to see the sleek skin of your lover’s body…Yeah, that. That instant atmosphere that draws you into the moment and drives your expectations of what will happen next. That’s the mood. Now, many confuse this with tone. Mood is not the tone of the story, though the tone can drive mood. I won’t go into detail, but know that they aren’t the same. Just like I mentioned earlier, the mood sets up your expectations as it draws you into the moment. Think about The Blair Witch Project. The movie starts with a homemade feeling and sets up the story in the woods. By doing this, it sets up an isolated, and thus dangerous, mood and expectation. The trees that we can’t see through, the blackness of the night, the crunching in the silence. It builds the suspense. You want to get the reader all into the story or else we’ll be confused when something happens that didn’t match the feel and assumptions. As a kid, you got a 5-part chart that looked like a mountain. The mountain tip is the climax, the end is the resolution and the beginning, the exposition. Going up the mountain is the rising action and tumbling down the other side is the falling action. Remember? Good. That’s plot. Subplot is a smaller plot in the story happening along the way. It’s like Peeta and Katniss’s small love story in the midst of The Hunger Games; it’s not the main focus, but it has a story of its own. Well, plot is pretty obvious. It will happen naturally, and it’s what captures the structure of the story itself. Subplots, on the other hand, are both natural and optional. Thinking about it, our lives are a mix of subplots. You live a life doing what humans do; on the side, you attend school, have relationships that begin and end, pursue goals, go through hardships. All of those are smaller plots that contribute to the complexity of the main plot called life. Subplots enrich the main plot. If you remember from the conflict article, you’ll naturally have an external conflict that triggers an internal one and vice versa. The triggered conflict is the subplot when it’s developed in the story alongside the others. Better stories have other subplots to develop how complicated people and their plights really are. Have you ever noticed something in a story or group of stories that keep showing up over and over again? Or, if you’re looking at a creator’s style and notice lots of recurring concepts—like insanity in Poe’s stories? Those are motifs. They’re conceptual patterns and recurrences in stories that help to build the story elements—especially theme. Note: a motif is NOT a theme. As a child, your teachers lied to you. They said that prejudice and friendship were themes. Nope, they’re not. They’re patterns in the story that help you to see a bigger idea about life (theme). Like I mentioned earlier: the recurring patterns in a story help to build the other literary elements. In The Blair Witch Project, we constantly see their fear of, preparation for, and happening of being lost. Over and over again, they try not to get lost but do. When this happens, it not only builds the setting of a massive forest where someone can never be found again, but it also builds the mood of fear, the character’s goals of trying to maintain control of the situation, and the lack of escape conflict. Let alone, it teaches the viewers that we cannot prepare for every situation as a theme. It’s amazing how seeing one thing over and over again can have that much impact. It’s like racism in To Kill a Mockingbird. Like loyalty in Of Mice and Men. Opulence in The Great Gatsby. I can go on–but I won’t. Essentially, the motif is a subtle way to help build all the other pieces. Your birthday is coming up. For some reason, your lover has been complaining about how you need a break from work more than you do. (S)he asks you if you could go anywhere in the Nation, where would you want to go. You also notice that your boss has been adding more work on you and asking people to cover some later shifts. If your lover really loves you, those are hints that foreshadow a trip to come. Find out more about the “8 Foreshadowing Laws” from nownovel. Just like mood, foreshadowing can set up our expectations for setting up the scene and leaving breadcrumbs for us to walk into the trap. Going back to the Blair Witch Project movie, the exposition starts with interviews in town before they go to look for this creature. We find out what it looks like, where it may be located, and some of its worse crimes. The trio decides to go to this location, look for signs of the described creature, and follows the path of the children who encountered it and never returned. So, what does that do? Make us feel like they’ll encounter it and go missing, too. It only makes sense. Sold as posters on TPT from Stacey Lloyd. Buy them here! Remember when you were a kid in class and you started your first poetry unit? They give you these little abstract writings and tell you it’s filled with all kinds of stuff you can’t figure out? Yeah, that was figurative language. 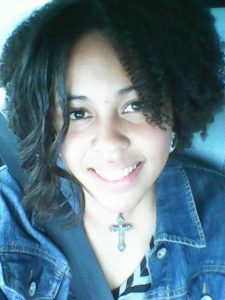 Metaphor, simile, personification, alliteration, hyperbole, etc. Yeah, all of those are used to imply an idea without actually saying the idea openly. That’s why it’s figurative language and not literal–you have to figure it out. Why would I want to make them figure something out when I can just tell them? That’s so pointless! Well, if you want to get someone to keep doing something, you have to make them work for it. If you say, “she walks down the street and sees a hot guy that she’ll marry one day”, your story is pretty much done right there. 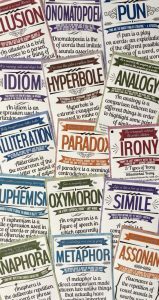 Figurative language not only makes your story more pleasurable to read in a language like with your imagery, it also makes it more memorable. When “she paces through the throngs of exasperated citizens” and “notices from the corner of her eye a man with too banging of a body and a mouth made for kissing” you set the mood for us, get us feeling what she’s feeling, and makes us want to know in what other ways he’s delicious. Only if you can tell me which is the most important to have along with the initial three. But, why?! I can’t give you that because all 5 are pretty key. I can give you my favorites–motif and foreshadowing–but really, it all depends on what kind of story you’re writing. Each brings its own value to the story that shouldn’t be underestimated. 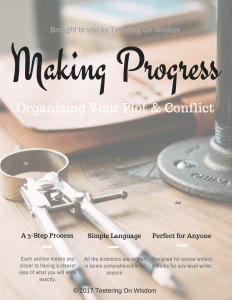 While you don’t have to have all of them–though some will naturally appear, like plot–you do want to include as much as you can in a balanced way. If you don’t forgive me, that’s cool. I don’t need you anyway! While she has her crisis, what other literary elements do you think are key to include in a story? Of the five above, is there a particular one that is more important than the rest? Let us know in the comments section and on social media. And, I’m pretty sure you want to sign up for her bi-weekly newsletter for Writer’s Wisdom and free resources to help you better write your stories. Ciao!